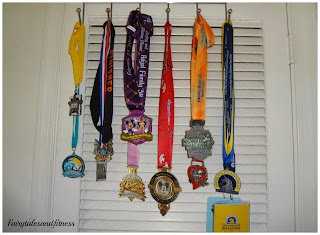 Let Us Help You Display Your Medals ( With a Give away)! So we've fiddled around with how to display our medals for some time now. We've hung them off shelves ( the ones with the pegs on them). We've hung them on the over the door clothes racks. We've hung them on random hooks. We've even seen how others display theirs too. But when we saw Sport Hooks at the Rock n Roll expo back in August, we knew this was a winner. 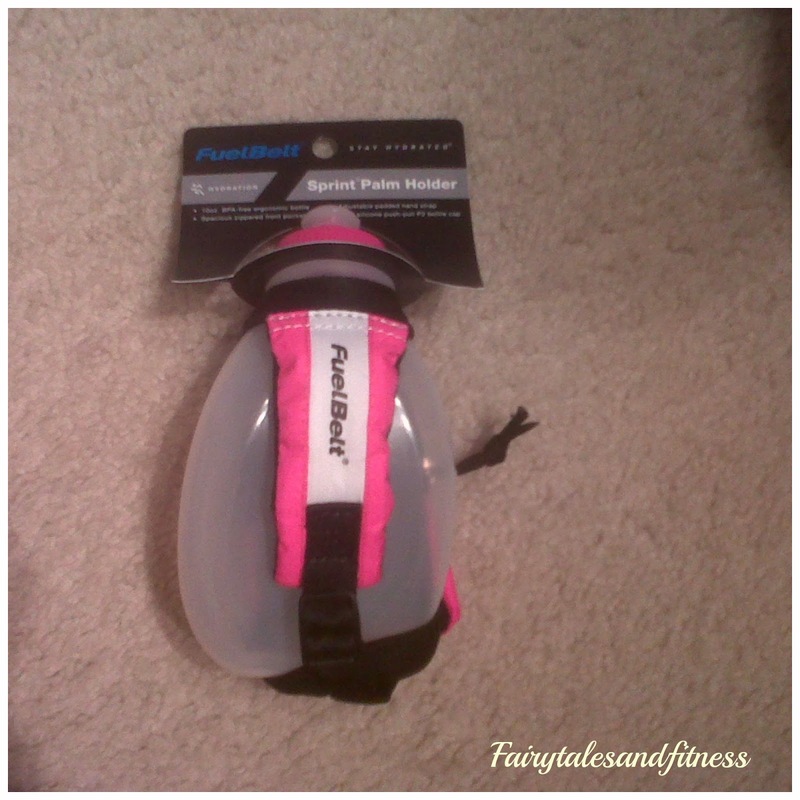 So imagine our surprise when Sport Hooks contacted us asking if we wanted to do a review and give away on our blog. Yes Please! We just knew our Disney fans would love the Disney inspired ones as much as we did. 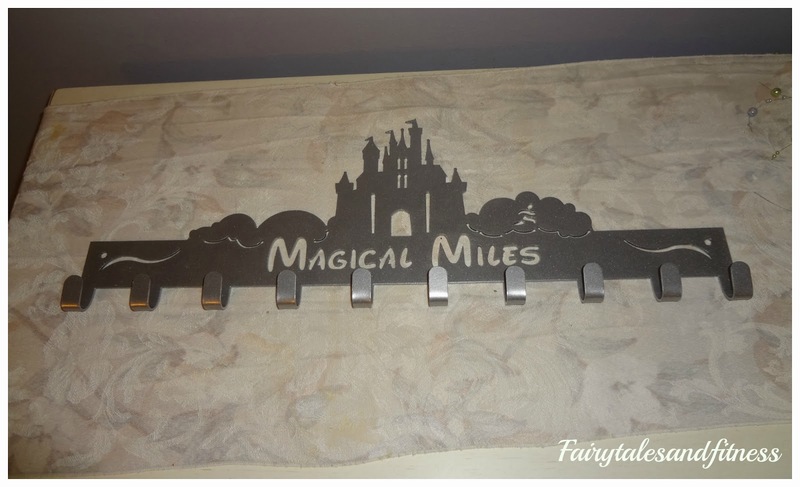 Of course, we chose the "Magical Miles" hooks in silver. I was pleased as punch when it arrived! Sport Hooks offers many Disney inspired designs in black, silver, and now a new tint of color, which I think is so magical looking! If you are not that into Disney designs, don't worry. They have a design for everyone. 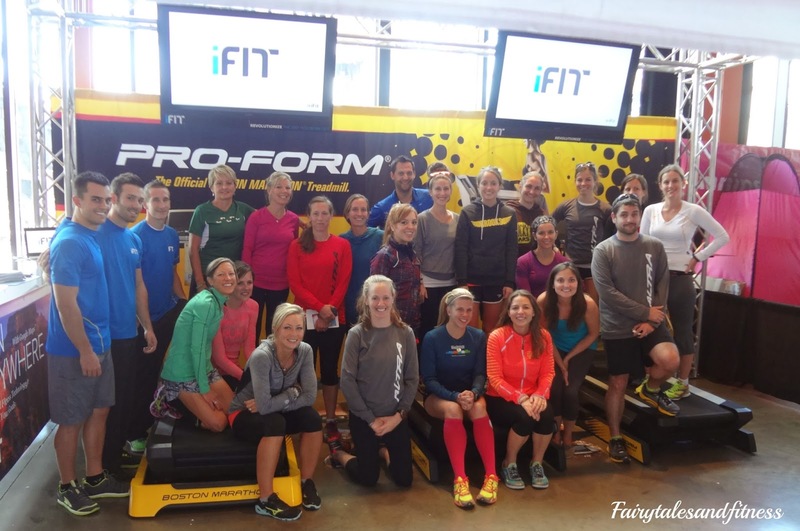 Are you a Boston Runner? Are you part of Moms Run This Town? Are you a tri-athlete or an ironman? 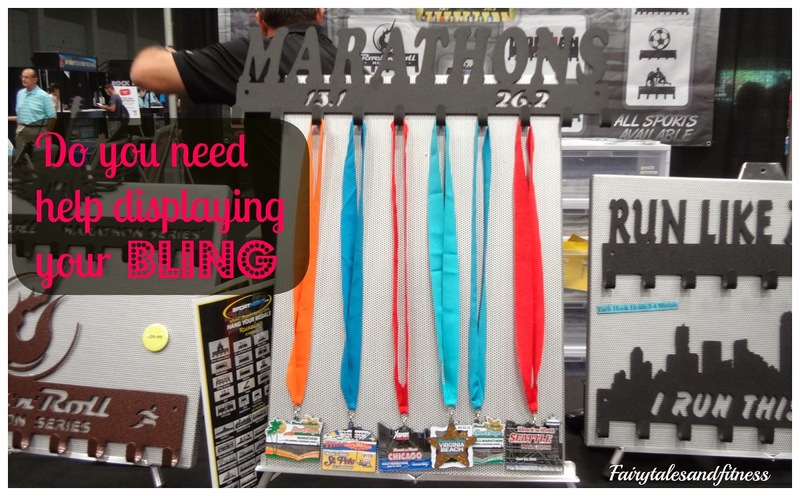 What ever you are into, Sport Hooks has a display for you. You can check out other designs HERE. 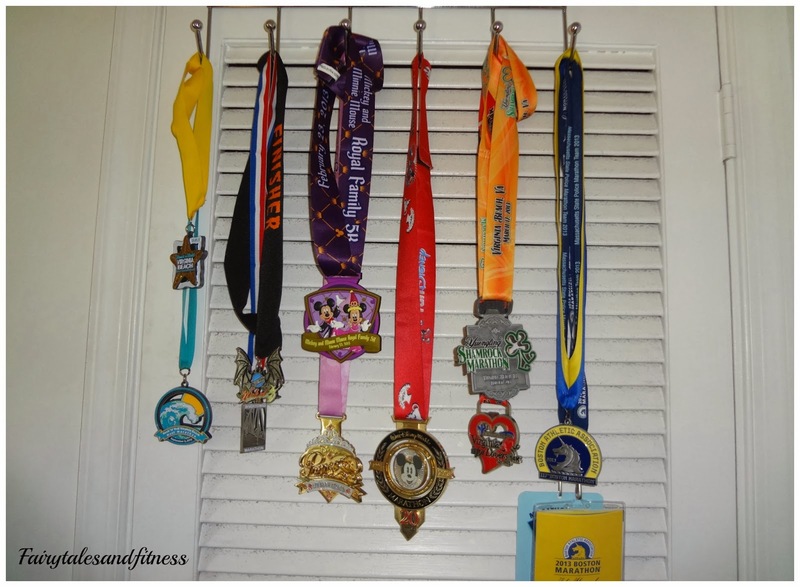 We got the 10 hook display, but we couldn't just put our Disney medals on it! Oh no, we had to load this beauty up! This was super easy to install. Sport Hooks even sends you the correct screws with the display. I was also surprised at how light weight it is. *I was provided a free Sport Hooks display, but all opinions are my own. Okay, so who wants a Sport Hooks display of their own? There are several ways to enter. Make sure you are using the Rafflecopter so your entries count. 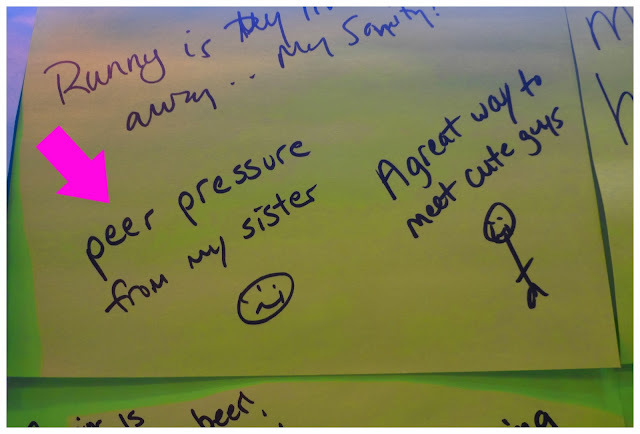 Leaving a comment on the post is the easiest way, along with "liking" our Facebook page! The Wicked 10K at Virginia Beach this weekend was a ton of fun. 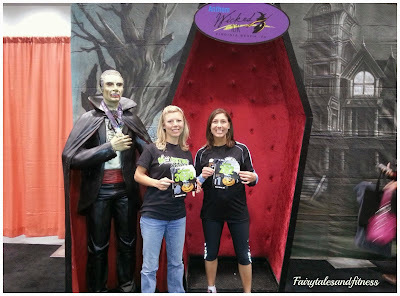 Friday we headed to the expo and picked up our bib numbers, race shirts, and goodie bags. The expo this year was a bit larger than last year. Meranda even bought a hand held water bottle from one of the vendors. 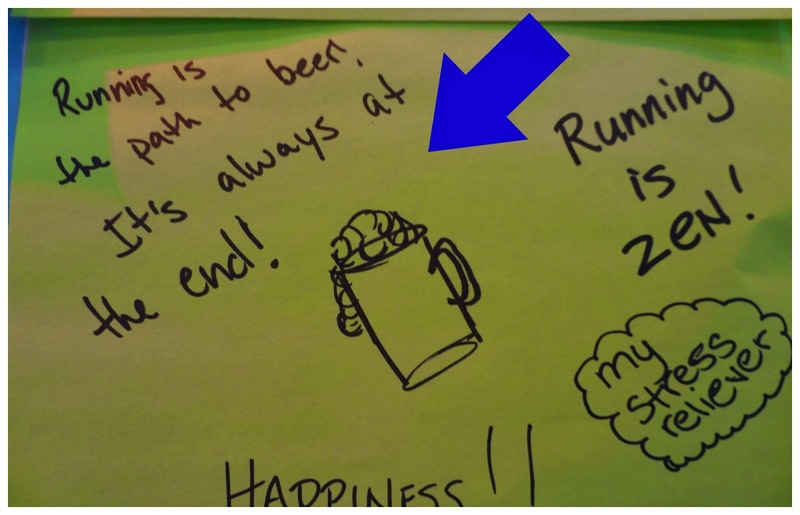 She figured she really should start hydrating on her long runs. When we woke up on Saturday morning, there was actually frost outside. 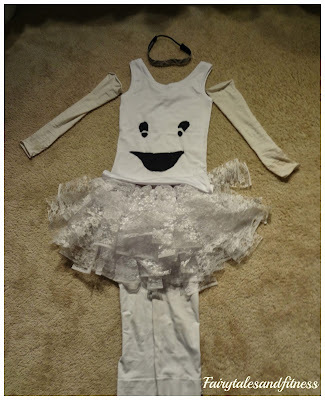 This made us hesitant to wear the costumes we had planned. We decided to just wear some old long sleeve shirts to the start line and then toss them as we warmed up. The costumes this year were amazing. 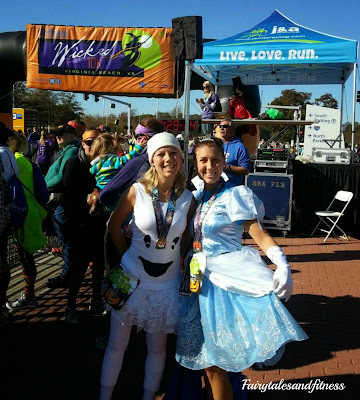 There were runners dressed as Flintstone characters, Duck Dynasty (complete with canoe), Elvis, the Energizer Bunny, characters from The Wizard of Oz, and so many more. We didn't really dress up as much last year. 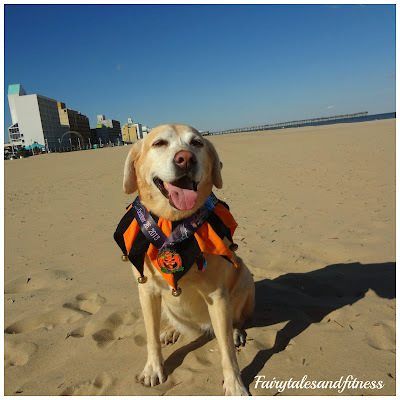 Lacey wanted to run for time last year, but wanted to run for fun this year! Even running in her ball gown, she finished in good time. she only finished 2 minutes later than last year. If you guessed Lacey was Cinderella, you would be correct. I have a feeling this costume will be making its appearance again at a future Disney race! Last year the finish line was on the boardwalk and the after party was moved from the beach to the convention center (because of hurricane Sandy). Even though we still got to run along the boardwalk this year, the finish line was right in front of the convention center, which was still okay because that is where the post race party was held. 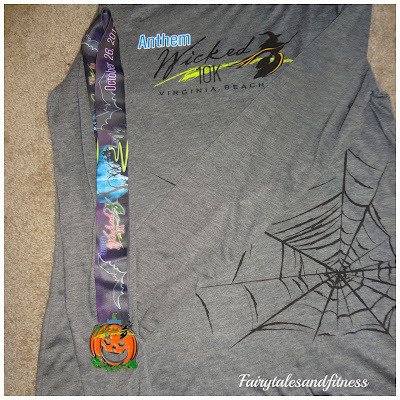 In addition to the cool long sleeve tech shirt and the pumpkin medal, we were also give a cool tote bag, a Wicked 10K thermos, and a drawstring bag that I neglected to take pictures of. Although the morning started off a little chilly, it ended up being warm by the time we started the race and ended up being a beautiful day. 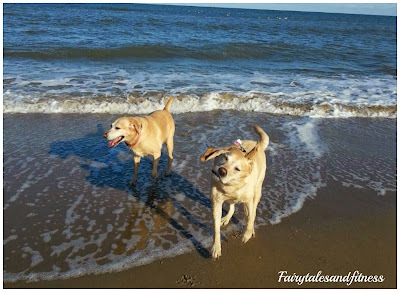 After the race we took the dogs back to the beach for some more play time. 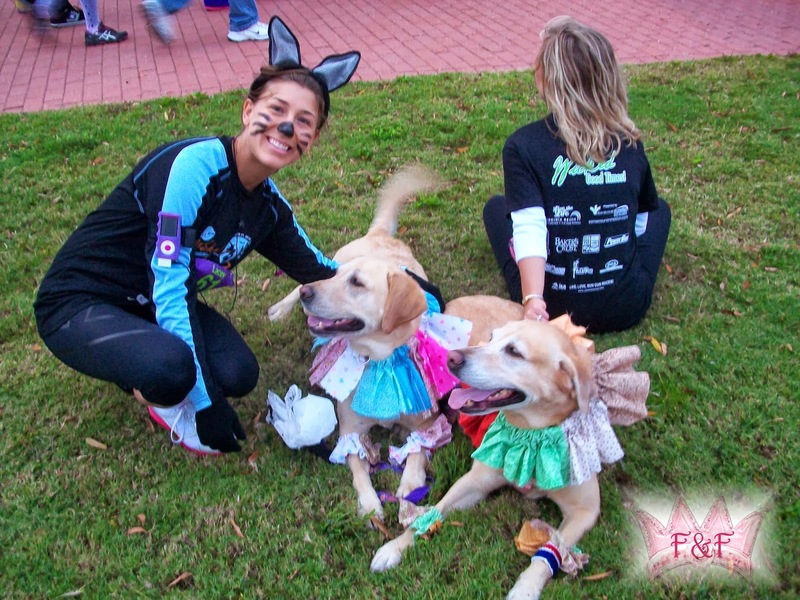 Did you do a race or anything Halloween related this past weekend? As many of you are preparing for the Marine Corp Marathon this weekend ( which I 'm sure will be wicked fun), Lacey and I will be running the Wicked 10K in Virginia Beach! 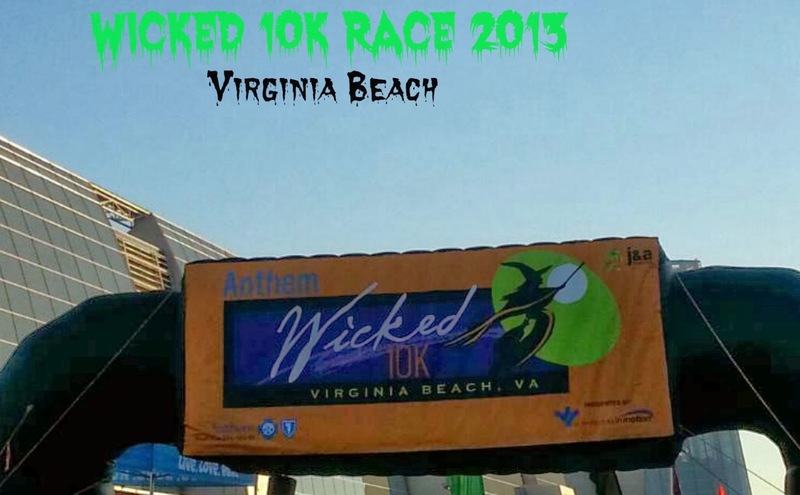 We did the Wicked races last year and had so much fun! 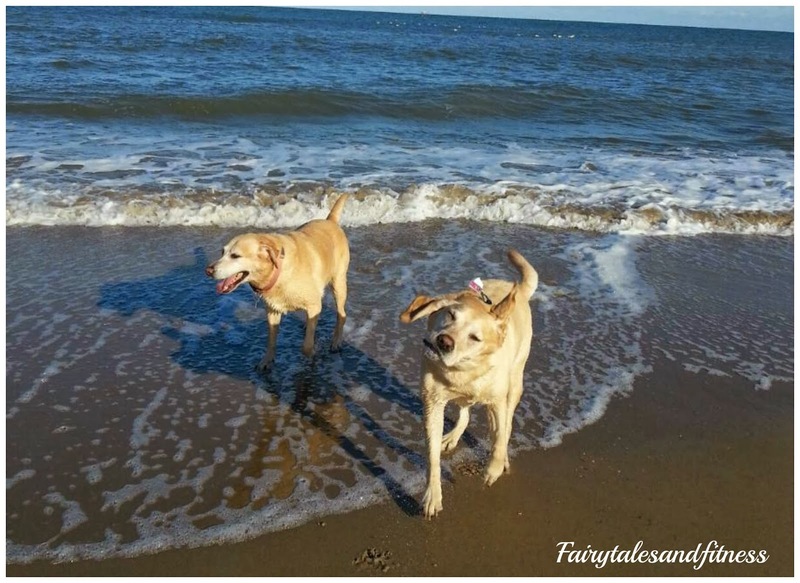 Even the labbies had a blast! Unfortunately our weekend got cut a little short due to Hurricane Sandy. Let's hope that doesn't happen again! 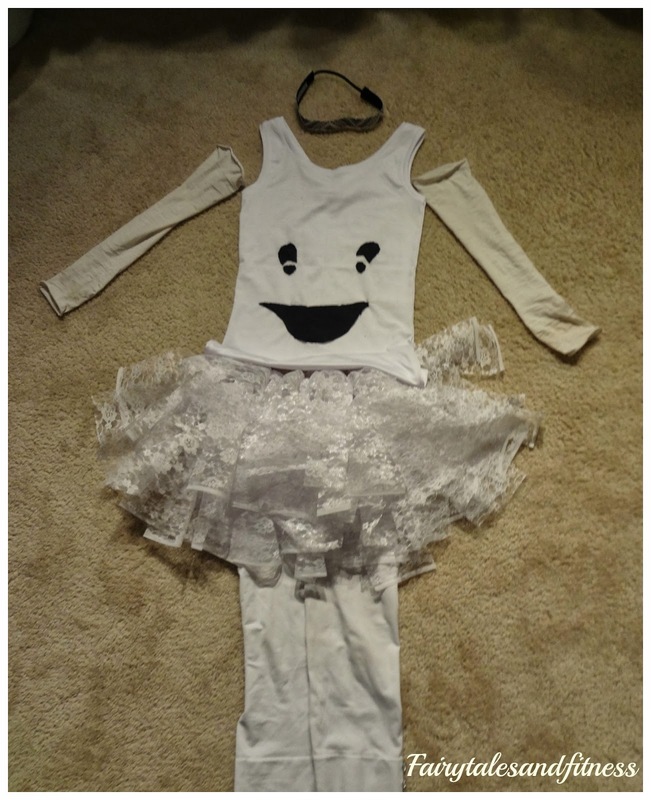 It's a ghost! What do ya think? Last year Baylee was a clown. This is what she will be wearing this year. 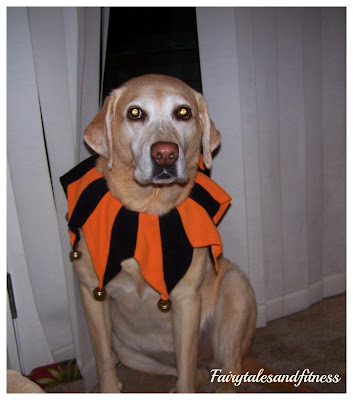 I know what you are thinking, I've really slacked off on her costume this year. I know! Certain people have already expressed their unhappiness about my lack of creativity in this year's costume. (And apparently Baylee doesn't look too thrilled about it either). I have no idea what Lacey and Belle are going to be. Maybe they will surprise us! 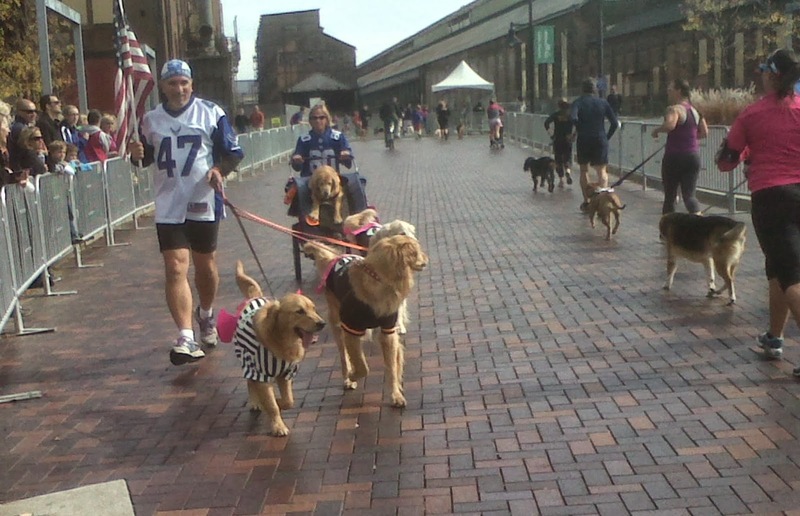 I can't believe how people went all out in costume for this race last year. Some of those couldn't have been comfortable to run in, but somehow they managed. 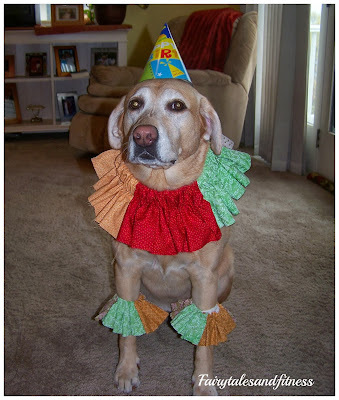 It's so fun to see people dress up. 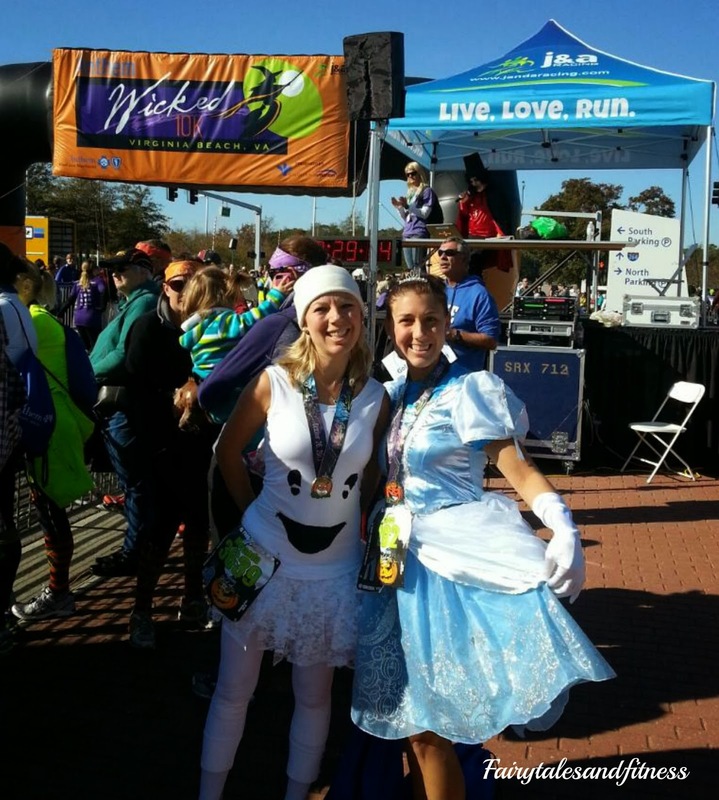 And yes, they even have a costume contest ( and the rule is you have to run the entire race with the costume on) You can see a picture of some of my favorites from last year in the recap above. Will you be running a Halloween themed race this weekend? Have you ever wondered about those Gu's and gels that runner's take? I have, but didn't know if I really had a need for it. I never carry water on my training runs, never stop at water/Gatorade stops during a race, and have been known to run all 13.1 miles with out taking a drink ( bad I know). So I never thought I needed such a product. Just completing a long run! Then, I was asked to try the new Chocolate Island Boost. Anytime you take a new product it's hard to tell if it is actually the product that is improving your performance. There are so many variables to consider. How were you feeling that day on your run? Was it an evening run or a morning run? What was the weather like? The first time I tried island boost, I can honestly say I was having a bad run. It was in the middle of the afternoon, it was hot, and I only completed 7 of the 10 miles I set out to do that day. The second time I used Island Boost, I had a great run! I stopped to let two deer cross my path, and then had to stop again to give a lady in a car directions. At this point, I thought my time was shot. But then I tore open my Island Boost and sipped that for the next couple of intervals. Now I know this might sound too commercially, but after I had that Island Boost, my little legs were like lightening! That must have literally given me the "boost" I needed! Even stopping for those deer and the lady asking for directions, I made my best time running that particular distance so far! Yay, a PR for me! I liked that I can fit it right in my running belt pouch. I like that you don't need to take water with it (because remember, I don't carry water nor do I stop). I liked that it was easily digestible and no cramping occurred. I like that the flavor was smooth. I liked the consistency of it. It is not gooey at all. I'm not sure what to compare it too, but it is even less thick than chocolate syrup! I am not vegan or on a gluten free diet, but this product is both vegan and gluten free. I am also not a calorie counter, but this product only has 60 calories. It has a bit more potassium than other energy gels. All the ingredients are pronounceable AND you actually know what these ingredients are without having to take an advanced Chemistry class! Island boost is really not kidding when they say you get energy fast! You'll also want to connect with them on Facebook and Twitter too. 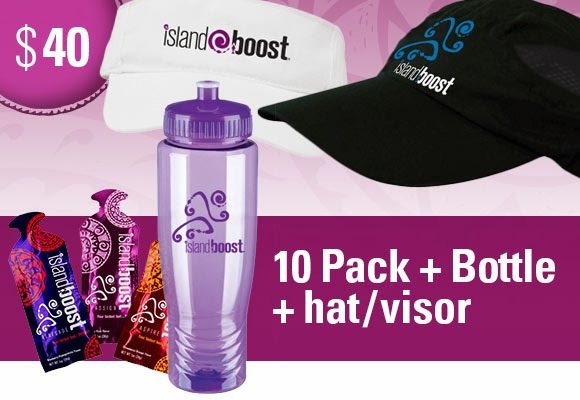 Island Boost is currently running a campaign right now where they are offering some great products in exchange for your support. Check out how you can donate to their crowd funding campaign. So tell us, what gives you your boost when you run? What kind of fuel do you use? 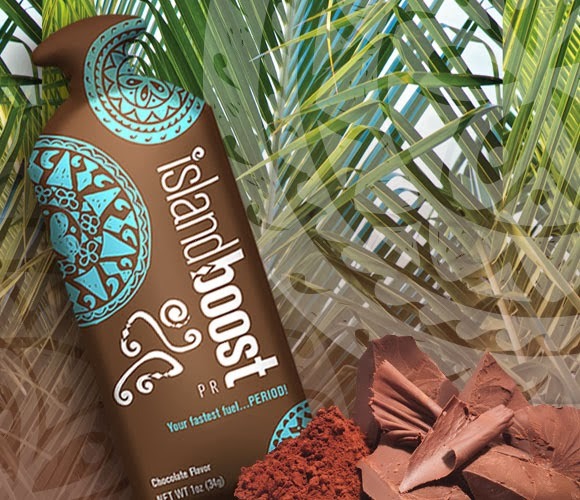 Would you ever consider using Island Boost? 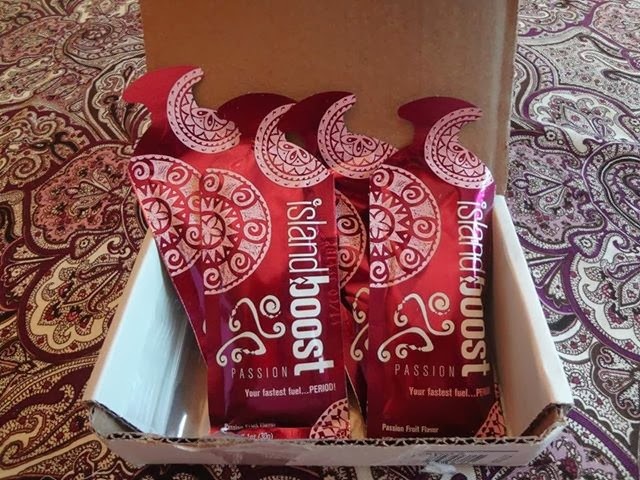 *Meranda and Lacey were each given a box of Island Boost to try in exchange for this review. However, all opinions expressed in this review were their own! Why the Runner's World Festival and Half is Great for Runners AND Spectators. 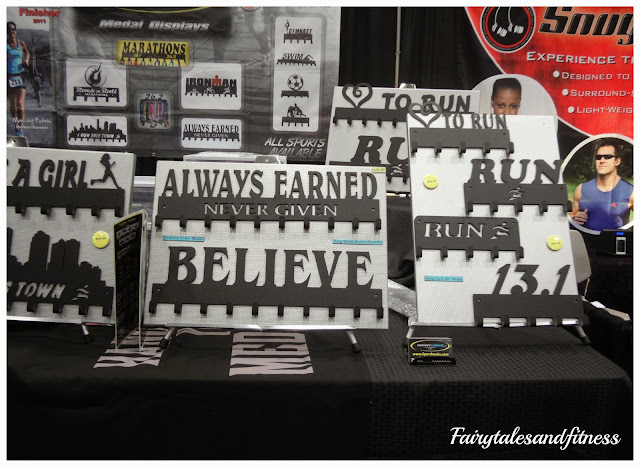 I participated in the Runner's World Half and Festival Oct 18-20, 2013. 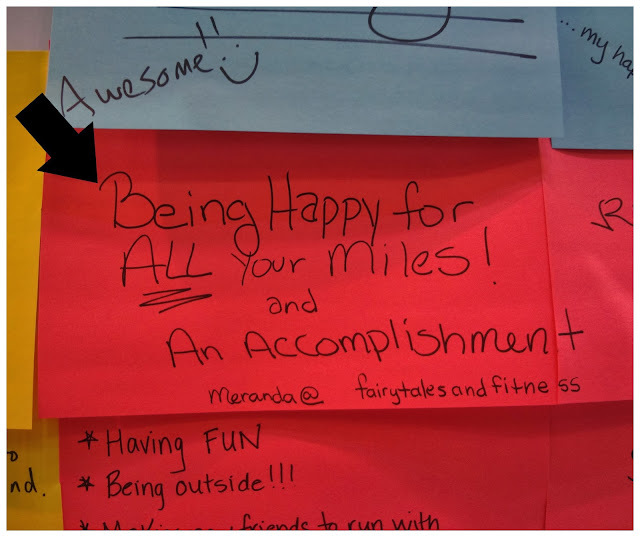 Runner's World invited me to represent our blog at the event and they paid for all the activities/dinners I participated in. 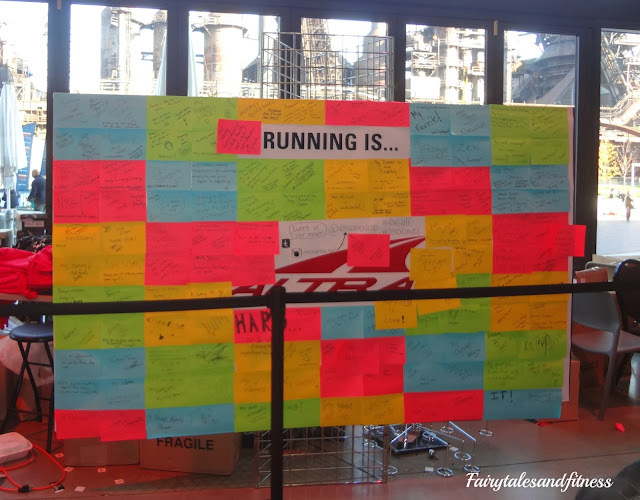 The Runner's World Half and Festival truly puts on an activity for everyone. The events for the public kicked off on Friday afternoon starting with the Runner's World Health and Fitness expo in the Arts Quest building. Although I couldn't get a lot of good pictures in this building where the expo was held (all windows on one side, no windows on the other), it was the perfect spot for the expo! Three floors for bibs, shirts, and vendors. I felt there was enough room for everything and didn't feel cramped like at other large expos. At 5:00 pm on Friday there were Kid Races. 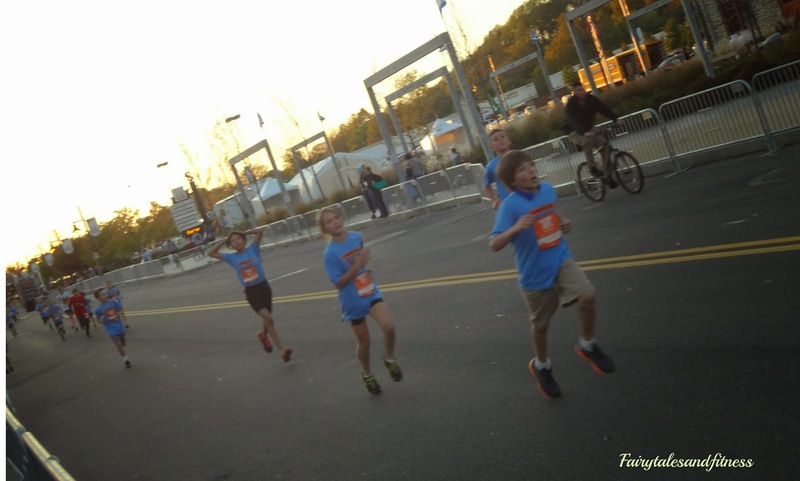 There were a variety of different distances for each age group and every child received a finishers medallion. For the adults, two movies played that evening: To Them That's Gone and Spirit of the Marathon II. If a movie wasn't your thing, you could go to a Race Weekend FAQ Seminar. Later that evening Bart Yasso held a night time run, it was a run with the Amish. Saturday started with the 5k race. I Caught a glimpse of Summer Sanders running this race with her son. There was an hour and a half between the 5K race and the 10K race. Some people ran both races back to back. This was called the "Five and Dime". I however chose only to do the 10K. I had packed shorts and a running tank to run the race in but the weather was much cooler than I expected. I had run in compression capris and a long tech the day before, so I thought I would be comfortable in something similar for the 10K and I was. I thought the 10K was a continuation of the 5k course that we ran the day before. Boy was I wrong! I was not expecting as many hills as there were. I was expecting two hills, but I'm not sure which of the inclines on this course were those "two hills". Even thought the course was hillier than I expected, it was a good challenge and I thought it was a good race. I never felt like the inclines had taken too much out of me. In the end, I finished with my best 10k time yet! After the 10K race and the awards ceremony, there was a dog run. Are these not the cutest little racers ever? After all the races were completed on Saturday, participants and their guests could go to the expo for some more shopping, participate in one of the many seminars, or see one of the movies that was playing. All these things were open to the public as well. 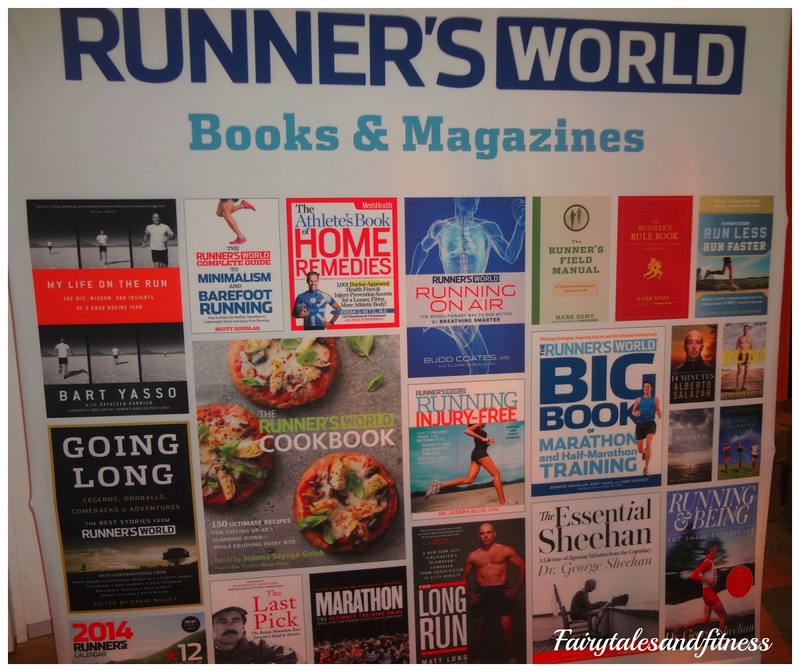 Runner's World editors, and authors were on hand at the book signing area to sign copies of their books. Participants also had an opportunity to have a pasta dinner with the Runner's World editors later that evening. There were three times offered for this event. 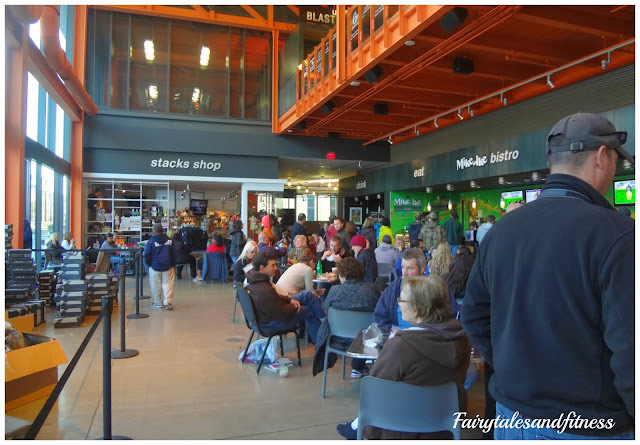 There is an additional fee for the dinner, but Runner's World paid for us bloggers to go. 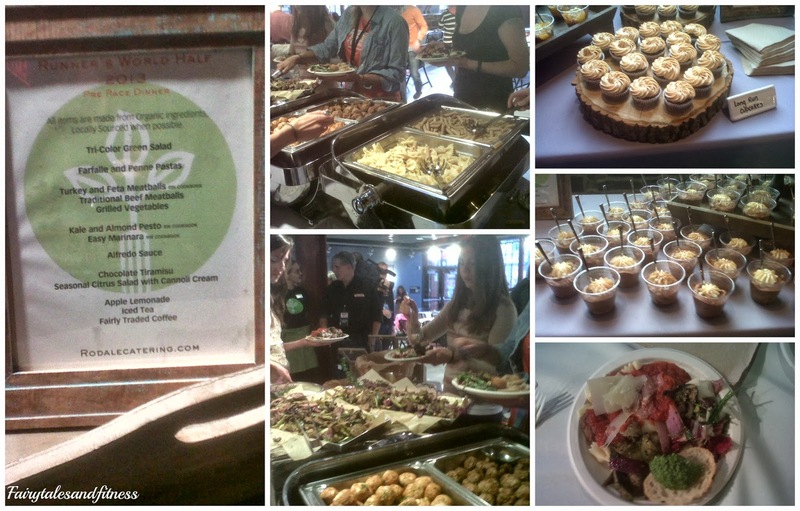 The Runner's World staff put out an incredible spread. Again, all recipes were from The Runner's World Cookbook! After dinner we were all invited to listen to the Keynote Speaker, Dave McGillivary, Race Director of the Boston Marathon. For an additional fee, this event was also open to the public. 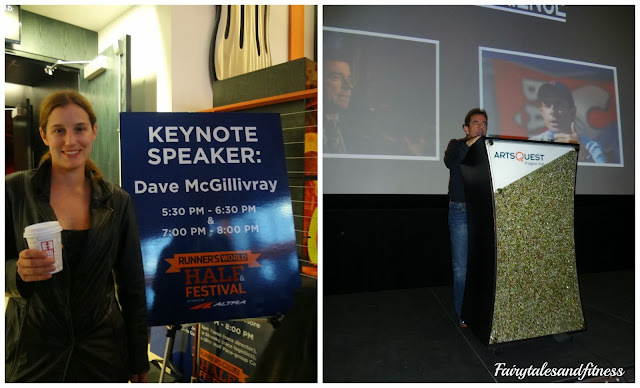 ( Toni from Running, Living, Loving) Dave McGillivray has got to be one of the most fascinating people I have ever had the pleasure of hearing speak. There is so much I want to say about him, but in an effort to keep this post a reasonable length I will have to save it for later. I will just say this, if I were still in school, he would definitely be someone I would want to do a report on! 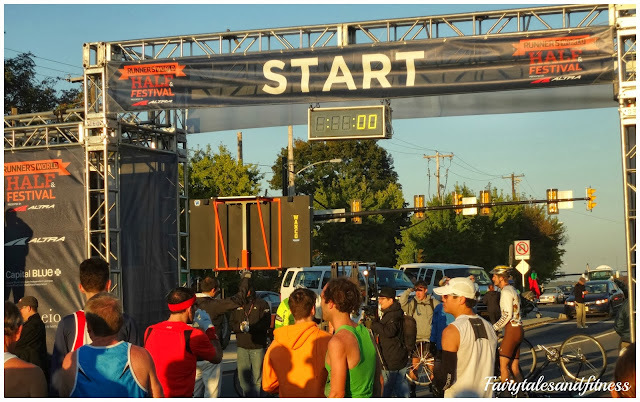 Sunday morning's half marathon was the last of the big events for the Runner's World Half and Festival that weekend. 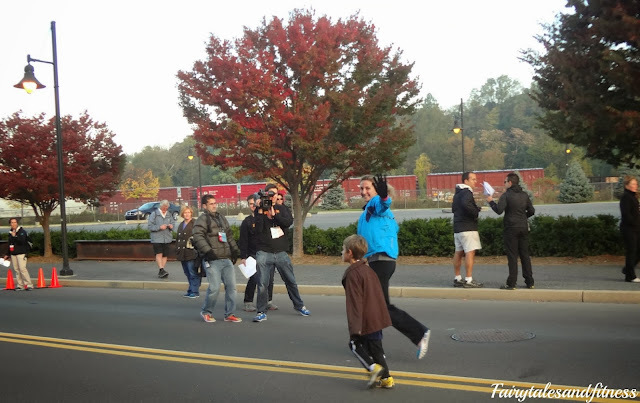 Those of us who were not running the half marathon chose to come to the start line and cheer on those who were running. 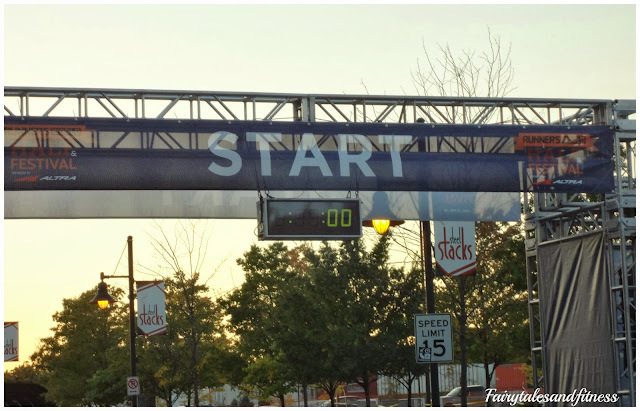 Although the finish line for the half marathon is the same as for the 5K and 10K, the start is in a different location. It starts up on the road in front of the Sands Casino ( near the bridge). Take note if you are driving a car, there is plenty of parking near the finish line, but you may not leave the lot until the road opens again at 12:30pm. 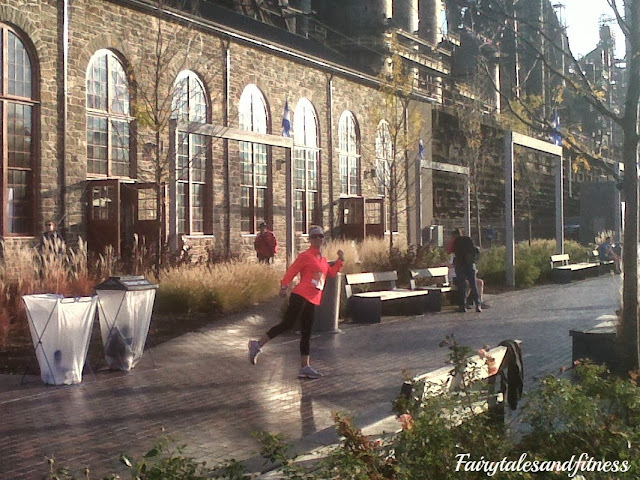 This is one of our blogger friends Jocelyn from Enthusiastic Runner running towards the finish line at the half marathon. I'm so proud of all the girls that participate in all three races, AKA The Hat Trick! The finish shoot was long enough that there was plenty of room for anyone who wanted to see the runners up close. Another plus was that spectators could watch from both sides of the finish line. Many larger races I've been to, the spectators could only watch from one side, making it rather crowded at the finish line area. 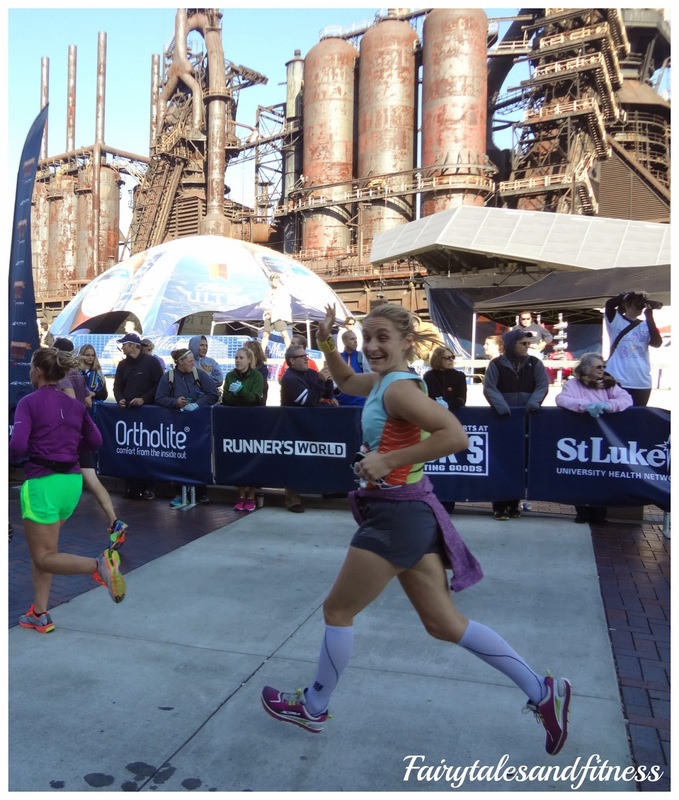 But wait, if it was too chilly for you outside ( remember it is October in Pennsylvania), you had all the comforts of waiting inside the Arts Quest building until it was time to go watch your runner cross! Since the Start and Finish lines for the 5K and 10K were held in this area, runners had a nice warm place to wait between races, grab a coffee or a bite to eat, and actually use a real bathroom! Now how many races have real bathrooms for you to use right at the start line? The ability to go indoors and stay warm was definitely something that made this race a bit better than the others I've been to! I think one reason this race was top notch all the way was because it was a race put on by the running professionals, not just a marketing department. If you want to host a good race, have people who run actually put it on! 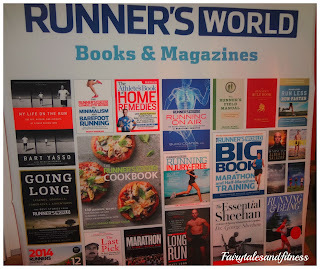 Kudos to Runner's World for a job well done! And of course here is the great race shirt and the bling I earned! 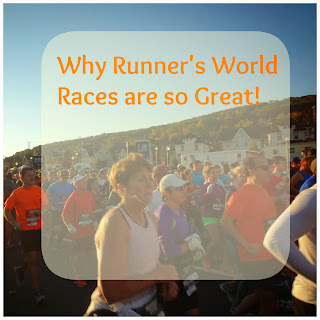 I really enjoyed my time at the Runner's World Festival and Half. I am so glad that I got to be a part of this event! Thanks Runner's World! 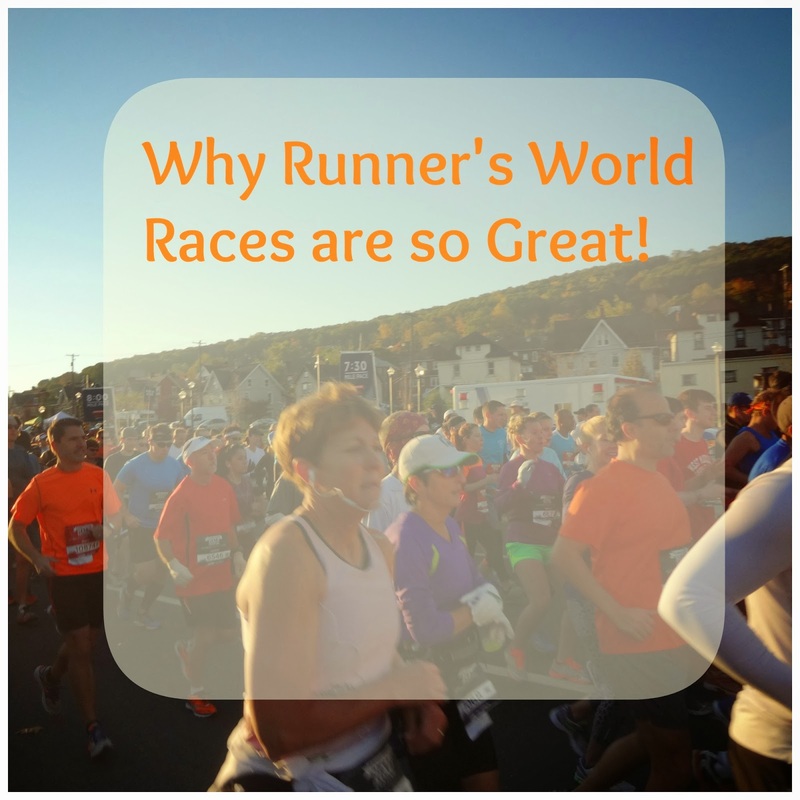 Have you ever been to a whole weekend of race events? 1. 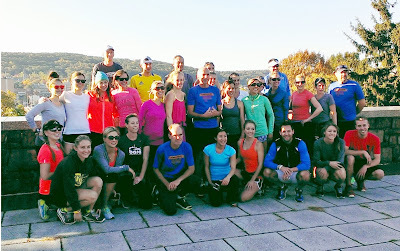 Runner's World Blogger Event: Barbecue at Runner's World Headquarters. 2. Runner's World Blogger Event: A day of Running Activities and Cool Sponsors. We were up bright and early on Friday morning and headed to the visitors center at the historic Bethlehem Steel Stacks. This day was SO busy, but I want to at least briefly mention each activity we did. First we met "Running on Air" author Budd Coates. 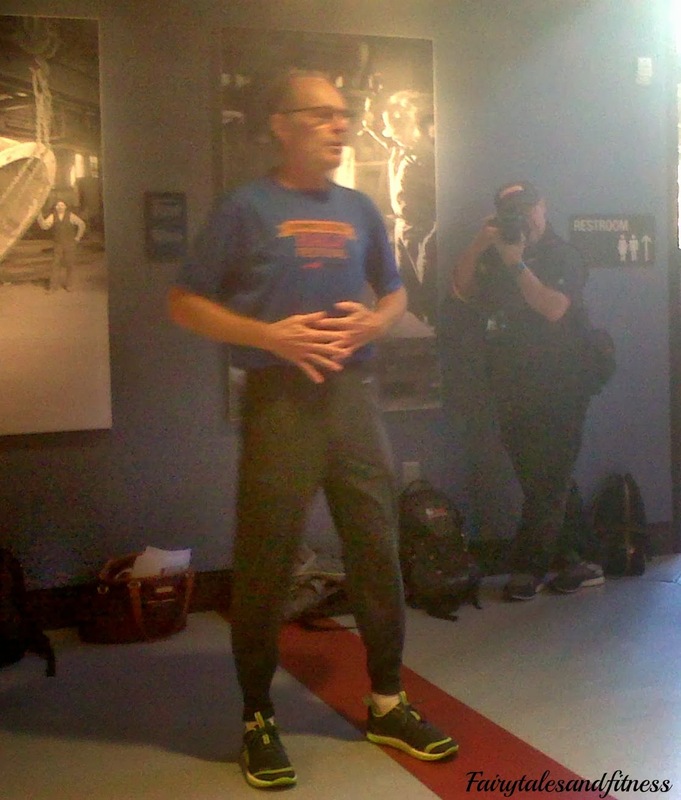 Budd has been running marathons for over 5 decades and has been completing them in under 3 hours! Isn't that amazing? He did a brief breathing demonstration for us ( which I will talk about later) before we went out on our 3 mile shake out run with him and Bart. 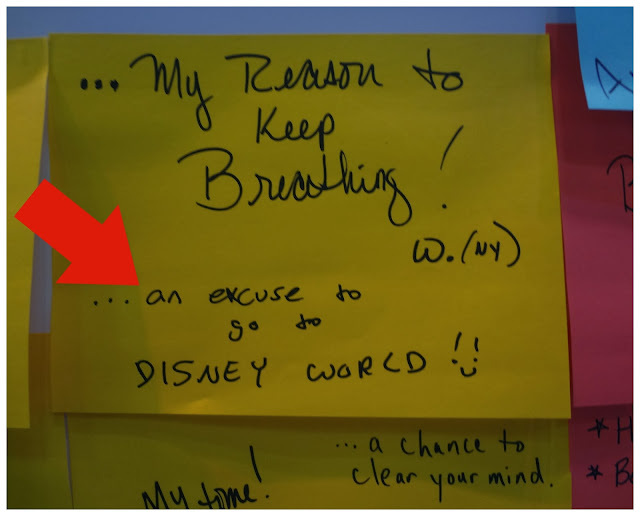 Budd Coates shows us how to breath from our belly instead of our chest. Then we prepare for our 3 mile run. Since the roads were still open, we all had to run along the pedestrian path as we crossed the bridge. It was a little tight, especially when there were runners (not from our group) speeding by us going the opposite direction. 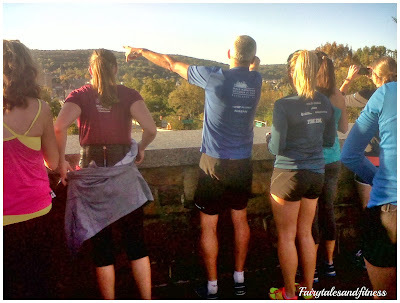 When we got to the top of the hill, we stopped at an overlook and Bart told us some history about the Lehigh Valley! Then we had to get a group shot. The 3 miles that we ran was pretty much the same course that the 5K runners would follow the next day. It was pretty easy and really only had one incline that wasn't so bad. 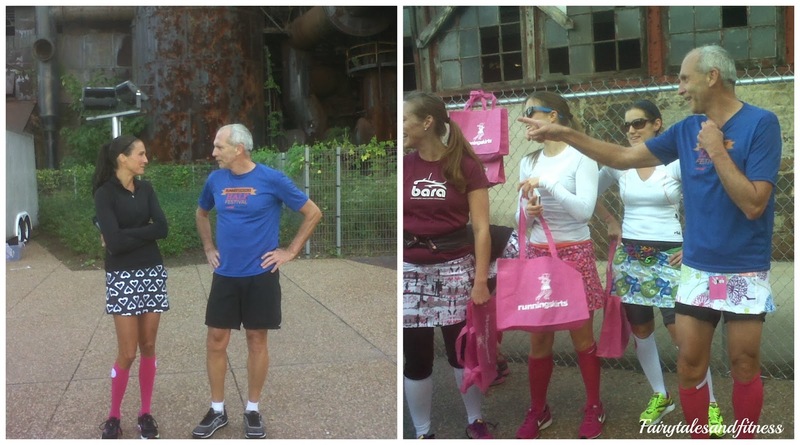 When we arrived back at the Steel Stacks complex, it was time for the Running Skirt's Olympics. Now I know why everyone loves Running Skirts! 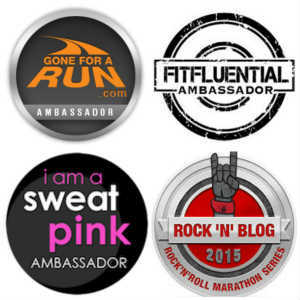 Not only are their products great, but Cindy, the head of Running Skirts is Super Sweet! We had a race were we had to run back and forth putting on running skirt products. Even Bart participated! Running Skirts put together a quick video of the event! Click here to watch it. 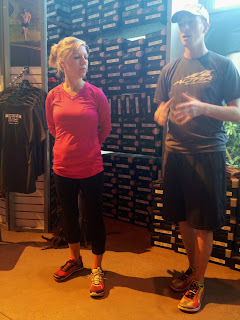 Next was Breakfast and a shoe demonstration from the great people at Altra. As you can see, I am debating between two different pair of shoes. Golden Harper, founder of Altra Drop Zero shoes, explains the difference between each pair. I ultimately ended up with the Pink and black shoes that I am wearing on my right. ( this photo courtesy of @janetober) After the shoe demonstration, we headed outside for a running demonstration also presented by Golden. Next, we headed back over to the visitors center where the great people from Icon Health and Fitness did a "Recovery for Runner's" Presentation. 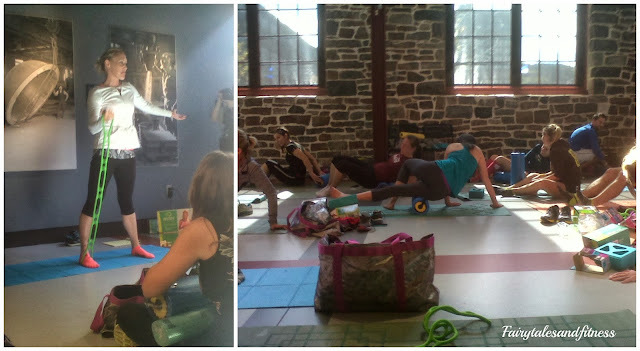 We were each presented with a yoga bag full of products. 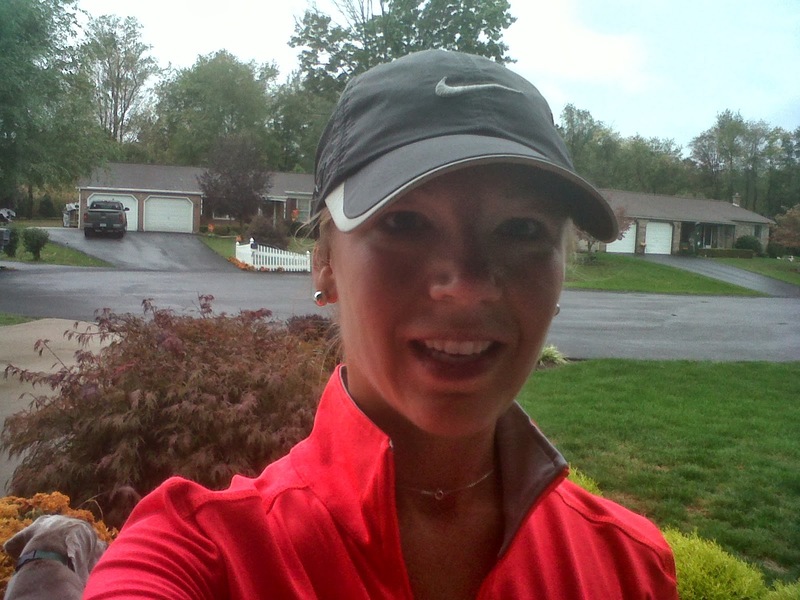 Our instructor Melanie showed us how to use each of these products properly after our runs! I think by the time this session was over, we were all ready for lunch! Everything on the lunch buffet was from the new Runner's World Cookbook: Caprese Farro Salad, Simple Green Salad ( with either mustard and cumin dressing or nutty olive oil dressing) Mushroom Tacos ( that were gluten free), Spicy Fish Tacos with Pineapple Slaw, and for dessert Banana Oat Energy Bars. I'm not a big seafood eater, so this was the first time I've ever had fish tacos. I have to say they were not bad. The pineapple slaw was an nice addition to the taco. The banana oat bars were very yummy too! 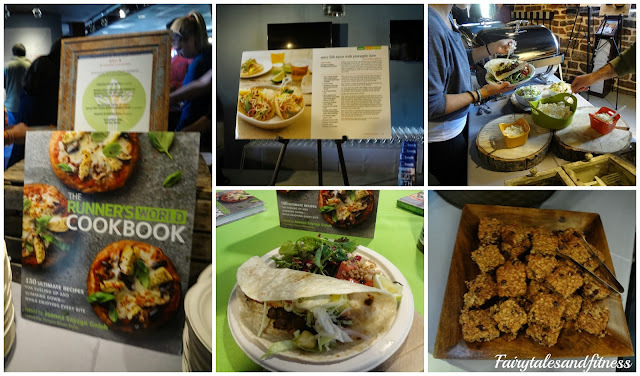 While we ate, we were introduced to the editor of the cookbook and one of the chefs who came up with some of the recipes. 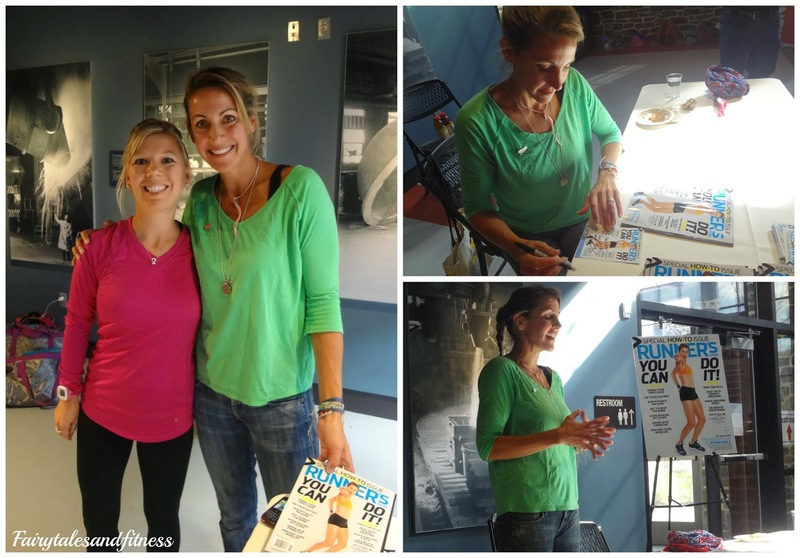 As if we hadn't had enough fun already, after lunch we got to meet Olympian Summer Sanders! Summer is a great speaker! I could have listened to her stories for hours. She talked about how she became interested in swimming and how her career had grown. She talked a bit about her children and the sports they are involved in as well. We got some time to talk to Summer one on one and I showed her the picture of her and Lacey( which I still had on my phone) at the Runner's World event at the Boston Marathon this year, and after looking at it for a moment, her faced lit up and she said she remembered (I truly think she was being honest too because she told me right where that picture was taken). 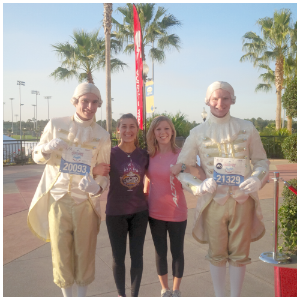 Summer ran the 5k with her family on Saturday and then the half on Sunday. The last thing on the agenda today ( before picking up our race bibs) was the Pro-Form and IFit demonstration. These treadmills are super cool! The ones they had on display where the new Boston marathon treadmills, but they make other brands that are iFIT compatible (ex: Nordick Track, Gold's Gym, ). I can't wait to share with you more about a really cool app I experienced here at this demonstration! After the demonstration we each received a really cool Nike Running tech shirt from iFIT. Now it was finally time to go to the expo and pick up our race bibs/shirts/etc! All the sponsors/vendors I had mentioned in this post have been extremely generous with their time and products that they gave to us! I will mention each one of them more in depth in future posts. Thank you to everyone who made this day so much fun! Click here to read Why the Runner's World Half and Festival is great for runner's AND spectators. 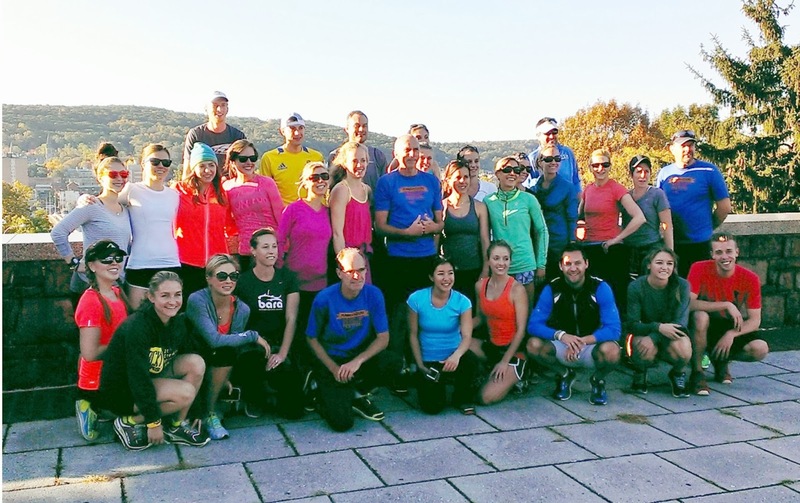 Click here to read Friday night's blogger even at the Runner's World Headquarters.